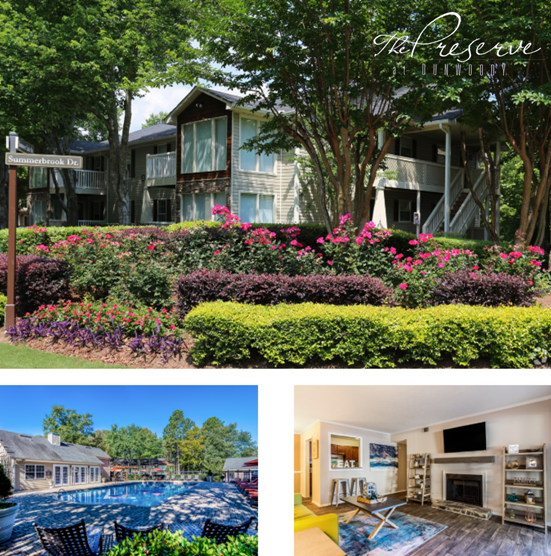 The Preserve at Dunwoody is a 302-unit, garden style asset located in the Metro Atlanta submarket. Bordering the Chattahoochee River Park, the property provides residents immediate access to the Nature Center Trail and a centralized, private lake. The floorplans offer spacious units with desirable features including dens, patios/balconies and sunrooms.